These figures will make your diodes tingle! The droids you are looking for are here. 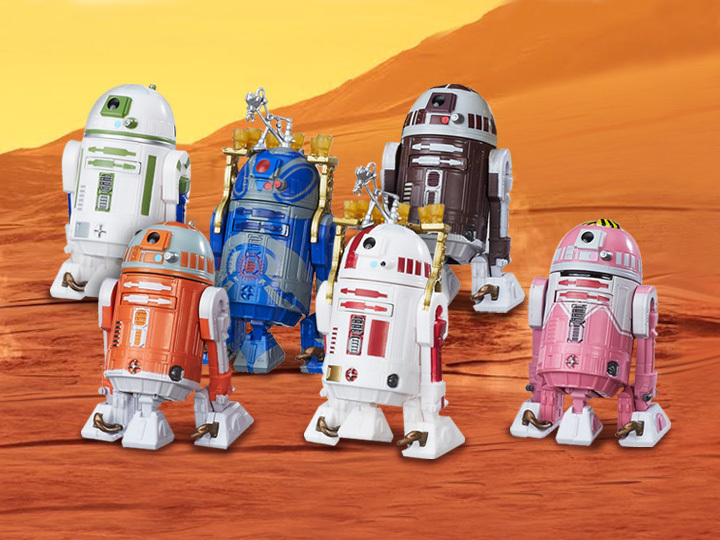 Celebrating the entire Star Wars saga and the 10th anniversary of our super-popular, sold-out, 2006 exclusive astromech droid sets, this amazing new Star Wars action figure gift set will knock your socks off! 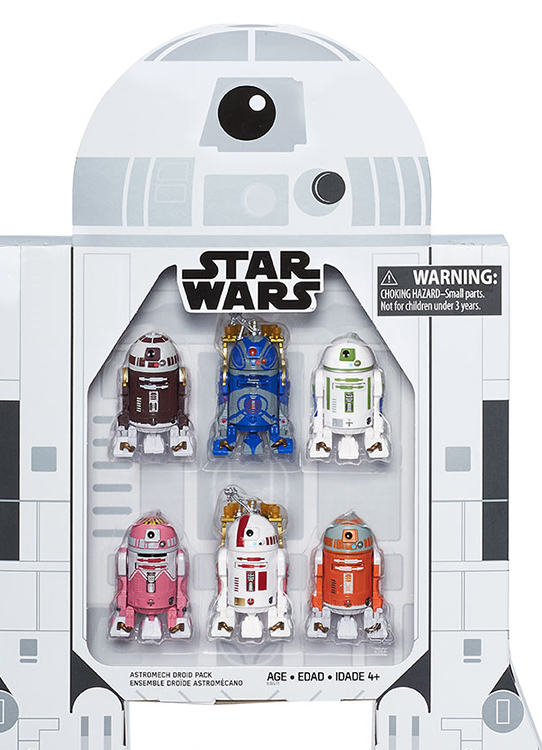 The sextet of astromech droids comes to you in a specially designed R2-D2-shaped box featuring these six 3 3/4 -inch scale action figures. 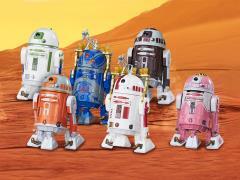 Each droid sports multiple points of articulation, similar to the collector-favorite figures of The Vintage Collection. Dating back as early as the 1977 version of the original Star Wars movie, and all the way to the recent The Clone Wars animated series, this set has robots with personality you won't want to live without. Each figure includes rolling wheels on their feet, plus jointed domes, ankles, shoulders, and maybe even a few other surprises.